When we first moved to Colorado, everything was new to us...EVERYTHING! So we acted like tourists and were much more open to visiting local attractions than we would have been had we lived here for a long time. Even if we keep this up, we might not ever see all there is to see. There is SO MUCH to do in Colorado! We're still discovering new places! Here is a list of places and restaurants we have visited as a couple (without kids) and as a family that you might enjoy if you are ever in the area. Or maybe you already live in the area and haven't yet been to some of these places. Either way, enjoy! Listed in Alphabetical order by City/Town. If there is a blog post about it, the name is linked. Colorado Gators Reptile Park - This park is actually located north of Alamosa in Mosca, Colorado. The park began as a Tilapia farm in 1977. Baby gators were purchased in 1987 to dispose of dead fish and filleted fish remains. It opened in 1990 to the public so everyone could see the gators. They have also become a sanctuary for unwanted reptile pets. We especially enjoyed seeing all the tortoises.Visit the Colorado Gators Reptile Park website for directions, hours and prices. Great Sand Dunes - The dunes lie east of Alamosa at the western base of the Sangre De Cristos mountains. It is hard to get a real sense of just how big and impressive the Great Sand Dunes are without actually being there and seeing them for yourself. The best time to go is late May to Early-Mid June when the snow melt is running through Medano Creek. Be sure to pick up a sand sled or a sand board for extra fun on the dunes! Visit the Great Sand Dunes National Park website for more information and park updates. 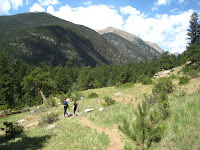 Mount Evans Recreation Area - A must see destination! Visit the summit for gorgeous views and wildlife galore! At 14,258 ft above sea level, this was the first fourteener for Mr. LH and the "Pickles". Take a jacket! The summit can get very cold and windy - even in the middle of summer. Mount Evans road opens in the spring and closes in late summer (for the top 5 miles) and in the fall (for the lower section of road) - subject to weather conditions. Visit the Mount Evans website for more information. Summit Lake - The highest city park in North America and the highest park in the Denver Mountain Parks system, Summit Lake has "...awe inspiring views of a landscape carved out by ancient glaciers over thousands of years." Meadow Hills Swimming Pool - One of several outdoor community swimming pools in Aurora. Visit the City of Aurora website for hours and admission fees. Punkin Chunkin Colorado - Engineers are challenged to "test the limits of pumpkin physics" by creating a contraption that will launch pumpkins further than their competitors. Additional fall festival type activities have included scarecrow making, face painting, a zipline and cattle roping as well as music, food and vendors (including a pumpkin patch). Held in October. Visit the City Of Aurora website for information. 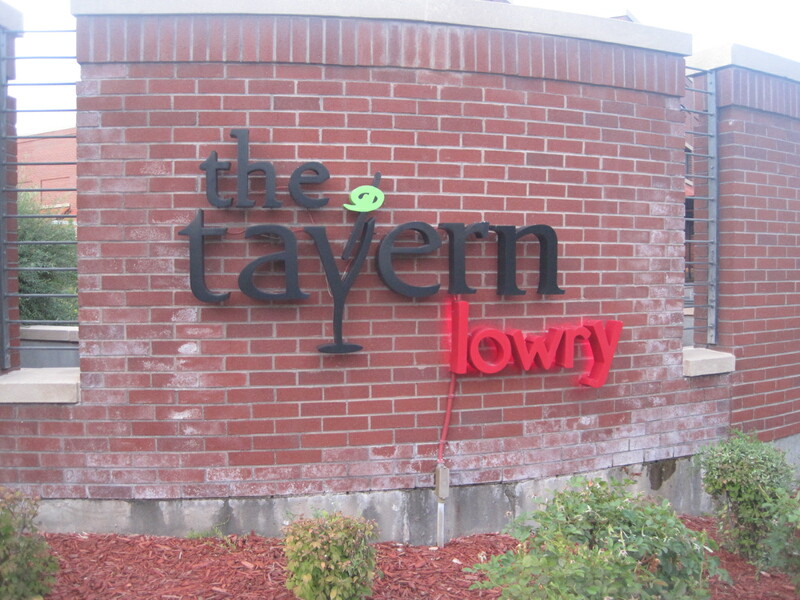 The Movie Tavern - It's as much a place to eat as it is entertainment. Watch a movie while you feast on dinner (or breakfast). Visit their website for tickets and showtimes. Ameristar - We haven't stayed at the hotel, but we always wound up in this casino to spend the remainder of our gambling pennies. The payouts seemed to be the bestof the 5 or 6 Blackhawk casinos we tried. This was a trip without children. For more information, visit their website. Isle Of Capri Casino & Hotel - The hotel rates here can be VERY inexpensive and your parking is included. Park your car in the garage and don't move it for the duration of your stay in Blackhawk. Everything is within a short walking distance. I would go elsewhere for decent casino action...at least if you are playing the penny slots. They weren't paying AT ALL. The buffet was a popular place for people who wanted to eat all-you-can-eat snow crab legs, but I didn't care for the rest of the selection (except the desserts...those were great!). This was a trip without children. For more information, visit their website. Adams County Fair - This was a very small county fair that should do well to satisfy an urge to visit a county fair - you can ride some rides, see some animals, and (most importantly) eat "Fair Food". There was no admission fee so how much you have to spend will be determined mostly by how much you plan to ride and how much you plan to eat afterwards. Daniel's Park - Mr. LH and I took a drive out to Daniel's Park by ourselves one Sunday. It was a long-ish drive from Aurora - longer than our usual weekend excursions - but not too bad. It is said this place has some of the the best views of the Front Range and I can believe it! If you take the Castle Pines exit off I-25, the park due west (just point your car toward the mountains). Garden Of The Gods - Incredible towering sandstone rock formations rising from the ground. A backdrop of snow-capped Pikes Peak and brilliant blue skies. For picnics and rock-climbing or for a dog walk like no other, this is the place to go. The park was given to the city of Colorado Springs in 1909 by the children of railroad magnate Charles Elliot Perkins, in fulfillment of his wish that it be kept forever open and free to the public. The park is still open and free to the public. Approximately 1,700,000 people visit the park every year. For more information, visit their website. Colorado State Capitol - Everyone should visit their state capitol. This one is beautiful! 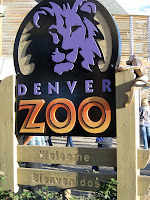 Denver Zoo - The Denver Zoo has several free days throughout the year...but get there early because the parking lot gets filled up fast! Visit their website for hours and ticket information. Downtown Aquarium & Restaurant - As far as aquariums go, this one is small, but the interior twists and turns so much that there are a LOT of exhibits packed in to this building! It took a good part of the day to wander through and look at everything. The Downtown Aquarium Restaurant has a VERY tasty (though a bit pricey) dinner menu and a "must have" dessert selection. The lunch offerings were the usual lunch fare found at many restaurants with a slightly lower price tag. Dinner reservations are accepted (and recommended for weekend diners). Visit their website for ticket prices, hours of operation and table reservations. Lego KidsFest - A kid's favorite! You'll probably have to visit their website for dates and times and I would definitely recommend getting the advance tickets. All the sessions sold out by opening weekend! The Paramount Theatre - The Historic Paramount Theatre still retains the glitz and glamour it had when it was built in 1930. Original silk tapestries still cover its walls. The 2011 CFS Spring Student Show was held here and the Paramount Theatre regularly hosts all kinds of concerts and performances and remains a top Denver entertainment spot. Visit the website for more information and upcoming shows. Toby Keith's I Love This Bar - I don't suggest taking children here...but that's just my own personal opinion. However, for a date with my hubby (without children), it was fun! The drinks were a bit on the pricey side, but the food was great and the service was superb. Visit their website for a look at their menu and upcoming events and promotions. Pirate's Cove - A small, city run water park that is packed full of fun with a lazy river, water slides, 750-gallon "dump bucket and so. much. more. You can have the big water park experience without paying the big water park price. We really liked the smaller space because we felt safer letting the "Pickles" run loose here as opposed to a large water park. Coolers are allowed and lockers are available. Visit their website for hours and admission fees. Rocky Mountain National Park - We've visited Rocky Mountain National Park a couple of times. The first was a day trip. The second was a 2-night camp out. We have not even begun to see everything there is to see! There is still more of the east side of the park, Trail Ridge Road and the ENTIRE west side of the park to visit! Castlewood Canyon State Park - A state park for daytime use only, Castlewood Canyon has several hiking trails, the remnants of an old homestead and the ruins of Castlewood Dam that burst in 1933 sending a 15 foot high wave of water into Denver. There are picnic tables and public restrooms available. You will need at least one full day to explore this park. In fact, we were only able to cover a portion of the east side of the park in a day. Visit their website for current hours, a downloadable park map and admission fees. Georgetown Loop Railroad - Built in 1884, the Georgetown Loop Railroad was originally used to connect the two mining towns of Georgetown and Silver Plume. Today, it is a tourist train with open car seating following the same route. It snakes it's way up the mountain about 600 feet in elevation. Visit their website for more information and ticket pricing. You can purchase tickets online and pick them up in Georgetown. Historic Downtown Georgetown - Pick up a map at the Georgetown Visitor's Center and take a self-guided walking and/or driving tour of Georgetown. Take in the many 19th century buildings and gain an understanding of the town's mining heritage. Lebanon Silver Mine - You have the option of stopping off at the Lebanon Silver Mine during your Georgetown Loop Railroad trip. This is an additional fee when you purchase your train ticket (and HAS to be purchased with your train ticket). The walking tour takes you 500 feet into the original silver mine. Hard hats are required in the mine, but they are supplied at the beginning of the tour for no additional fee. It is a constant 44 degrees in the interior of the mine, too so you may want to wear a jacket. Colorado Renaissance Festival - Whether you dress the part or not, there is a fun time to be had at the Colorado Renaissance Festival! Enjoy jousting tournaments, stage shows, a wide variety of vendors, delicious food and meet Twig The Fairy (The Girl's favorite part of the festival)! Discount tickets are available at King Soopers grocery stores. Visit the Colorado Renaissance Festival website for festival dates and more information. The Tavern Lowry - I definitely recommend the Buffalo Latke Reuben. It is SO GOOD! (As is the jalapeno cornbread, the salmon, the burgers...). Sitting indoors can get pretty loud, but if you're there to watch a game, you shouldn't have a problem. Wall-mounted televisions are everywhere. If you want to encourage more conversation with your dining partner, opt to sit outdoors. It's very pleasant. Dinosaur Ridge - Actual dino footprints and gorgeous views! They have a small museum, a gift shop and a tour (either walking tour up the ridge or a bus tour for a small fee). This place is a short drive from Denver. Take your hiking boots...this is no place for dress shoes or sandals. Visit their website for hours, fees and directions. 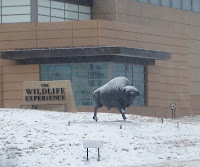 The Wildlife Exerience - It's part hands-on museum, part "don't touch" art museum and part natural science and history museum combines with an "Extreme Screen" theater and a gift shop. Visit their website for hours, fees, directions and information on current exhibits. 17 Mile House Farm Park - From the Arapahoe County website: "When the 1859-1860 gold rush resulted in large-scale settlement of the state, a series of inns emerged along Cherry Creek to accommodate travelers and freighters. These 'mile houses' were located every 2-3 miles along the Cherokee/Smoky Hill wagon trails from Kansas, all named based on their distance to the intersection of Colfax and Broadway. Upon arrival, travelers could get a meal, spend the night, rest their animals and have minor repairs made to their coaches or wagons. Out of the original six mile houses, only 17 Mile House and 4 Mile House exist in their entirety today." We visited the 17 Mile House Farm Park during the Fall Festival. At this free event, we could tour the house, participate in crafts, enjoy a hay ride, churn butter, pan for gold and view exhibits. Visit the Arapahoe County website for directions, tour dates and times. Blue Moose Pizza - This is a great pizzeria to take children to! The tables are covered in white paper so you can draw all over it, the interior is super-fun and bright, and they serve pizza! bōl - Like the Movie Tavern, this place is food and entertainment in one. You can stop in for lunch (or dinner) or you can choose to dine while you BOWL. The rear of the restaurant has about 10 pairs of bowling lanes (maybe more?) and sumptuous couches around a low table (as opposed to the hard, slippery chairs found in most bowling establishments). The lanes are $50 per hour plus $5 shoe rental per person. Reservations are HIGHLY recommended (pretty necessary if you plan to get a lane). Visit their website for more information. Moe's Original Bar B Que - For a girl who practically grew up eating Lexington style pulled pork barbecue in North Carolina, Moe's my barbecue heaven in Colorado. Choose the cornbread side for double "yum"! Families should probably eat outside or get food to go to avoid the "bar atmosphere". (But the food is very kid friendly so don't miss out! Go to Moe's!) 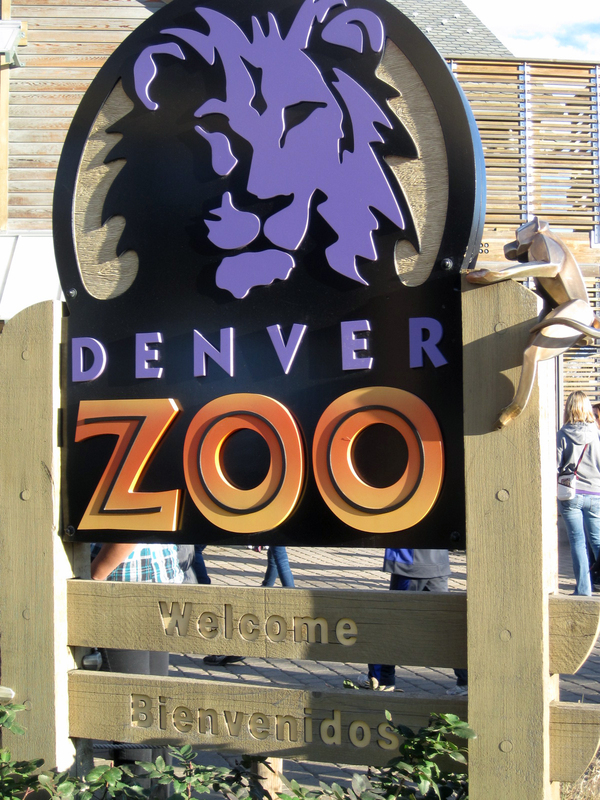 There is another location in Denver but we haven't scoped it out yet. Vail Film Festival - The Film Festival is what first brought us to Colorado in 2008. Mr. LH was a contestant back then. When we moved to Colorado a couple years later, we again found our way to the film festival. This time, Mr. LH was a judge. The festival activities run in the spring. Visit their website for festival dates, contest deadlines and more information. Vail Mountain - Ski, eat and go tubing, snowmobiling, snowshoeing and more. If you are on foot (no skis or snowboards), you can take the Gondola up the mountain for free after 2pm. For mor information on activities, prices and event dates, visit the Vail website. Mission:Wolf - Mission:Wolf is a non-profit wolf sanctuary. It is in a very remote area of Colorado but it is open to the public to help teach people about wolves. The sanctuary sits above 9000 feet just on the edge of the San Isabel National Forest. This place is much easier to reach in the summertime. Overnight camping is allowed or you can choose to stay in a community teepee. For directions and hours, or to sponsor a wolf, go to the Mission: Wolf website.